On April 28, 2019, the Second Sunday of Easter (or Sunday of Divine Mercy) Please join us at 3:00 PM in the church for Exposition of the Blessed Sacrament and praying the Chaplet of Divine Mercy. Will be held at Sacred Heart on Thursday April 11th at 7:00pm. 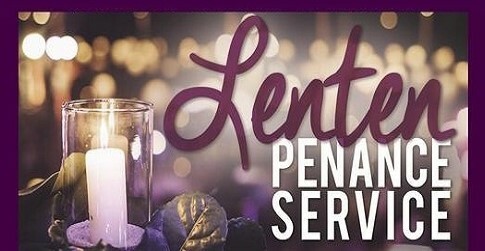 St. Gerard’s Penance Service will be on Wednesday APRIL 10th immediately following the 9:00 a.m. Mass. A perfect opportunity to receive the Sacrament of Reconciliation before Holy Week. 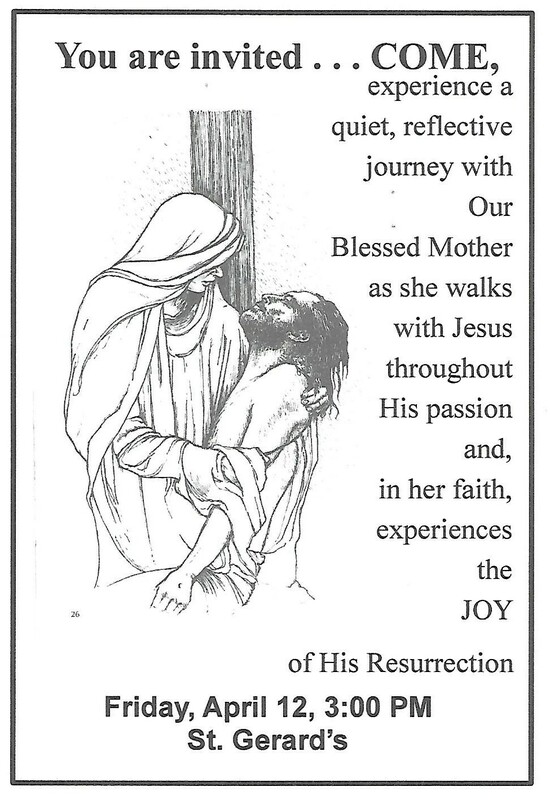 St. Gerard’s will be having a musically enhanced Mary’s Way of the Cross on Friday, April 12 at 3:00 pm. topic. This, in turn, will conclude with a period of guided meditation. The whole program will last one half hour and will be followed by Stations of the Cross in the main Church. The entire evening will last about an hour. 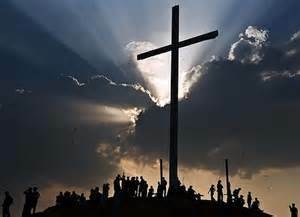 March 8th, the first Friday of Lent. Lets spread the Word!!! Friday afternoon BINGO continues. Doors open at 11am, Games start at 12:00pm. Kitchen opens 11:00am. DON’T FORGET! MONDAY NIGHT BINGO!!! Doors open at 4pm, Early Birds at 6:00 and Reg Games at 6:30pm. Kitchen opens at 5pm. The Legion of Mary is one of the largest lay apostolic movements in the world. Sacred Heart is home to Our Lady of Perpetual Help Presidium which happens to be the oldest in our diocese. Are you interested in increasing in holiness through the imitation of the virtues of Mary, to foster a deeper devotion to Mary among all people and undertake various apostolic works? We invite men and women of 18 years and older to join us to pray the rosary everyday for peace on earth at the request of the Blessed Mother. Please join us. We meet weekly on Tuesdays at 9 : 00 AM in the Church Office Conference room. All are invited to attend and discern membership. Questions? Call Theresa Meyer at 386-428-6426. 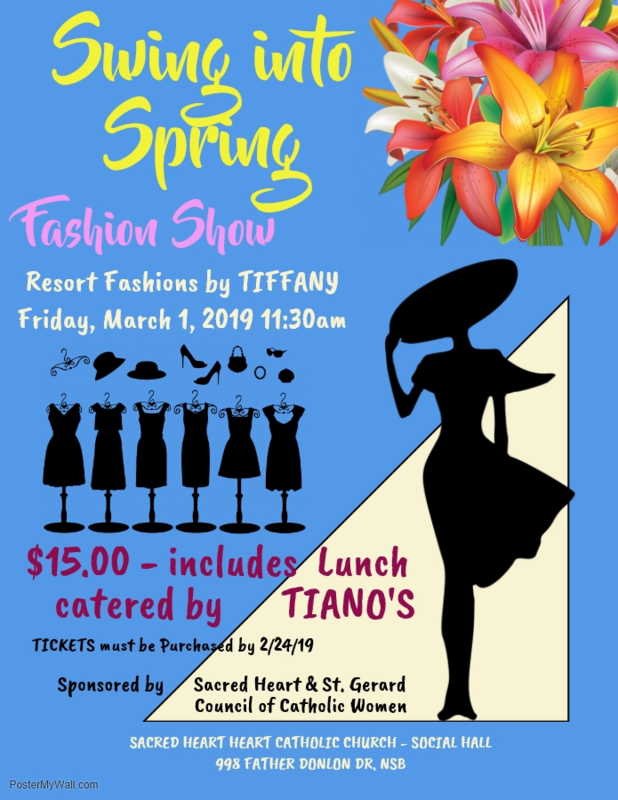 Sacred Heart & St. Gerard Council of Catholic Women are sponsoring a Fashion show here at Sacred Heart social hall. 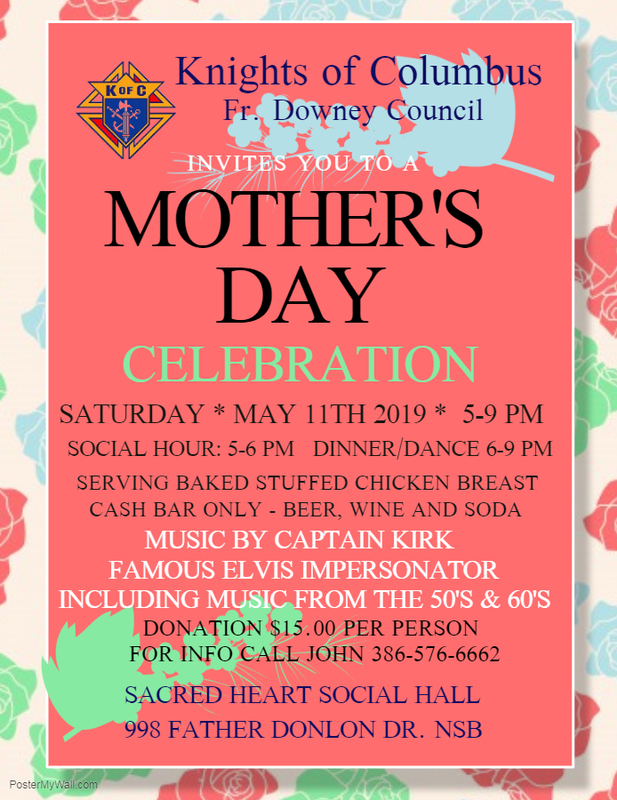 Please check out the flyer attached or contact the Parish office for more info for purchasing tickets.